Proper arrangements have been made in view of Modi's visit to the city. Traffic restrictions have been imposed in different parts of the city and entry of heavy vehicles have been banned by the authorities. 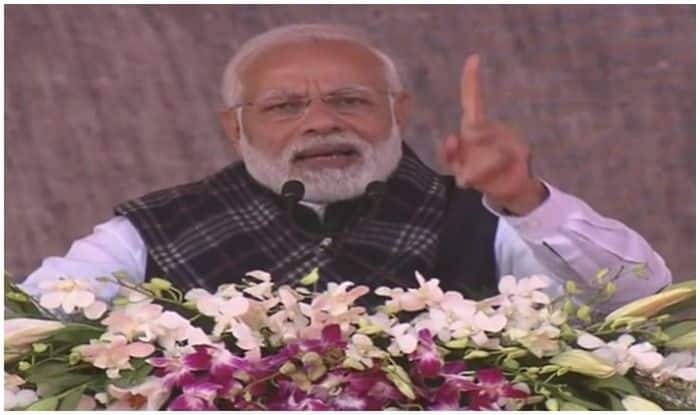 Agra: Prime Minister Narendra Modi is scheduled to begin Bharatiya Janata Party’s (BJP) campaign from Agra’s Uttar Pradesh on Wednesday ahead of the Lok Sabha Elections 2019. PM Modi will address a mega rally in the city today. Proper arrangements have been made in view of Modi’s visit to the city. Traffic restrictions have been imposed in different parts of the city and entry of heavy vehicles have been banned by the authorities. Uttar Pradesh Chief Minister Yogi Adityanath and several top BJP leaders are likely to be present while PM Modi addresses a rally at Kothi Meena Bazar ground. Over two lakh people are expected to attend PM’s rally. PM Modi will fly to Agra from Karnataka’s Bidar at around 3:15 PM in the day and directly reach the venue. He is also expected to inaugurate a number of projects today. The local administration has amped up the security in and around the city with almost 4,000 police personnel, 10 Indian Police Service (IPS) officers and several companies of paramilitary forces in attendance. The Prime Minister’s rally is a part of BJP’s mega plan to reach out to the people ahead of the general elections. PM Modi is slated to hold around 100 rallies across the country to set the tone for the Lok Sabha Elections 2019. He has already addressed rallies in Punjab and Assam and is slated to visit Lucknow on January 20. On January 21, he will visit his parliamentary constituency Varanasi to attend the ‘Pravasi Bhartiya Divas’. Meanwhile, BJP president Amit Shah has set up 17 different teams that will hit the ground in the run-up to the general elections. While Union Home Minister Rajnath Singh has been appointed as the head of the manifesto committee, Finance Minister Arun Jaitley will look after the publicity wing of the party. The Lok Sabha polls are due to be held between April and May. The ruling BJP under the leadership of PM Modi and Amit Shah will be seeking re-election. Meanwhile, members of the Civil Aviation Society released a poster, demanding a full-fledged international airport in the city. Activists on Tuesday drew attention to a promise made by Modi in November 2013 of constructing a barrage on the Yamuna river, saying no headway had been made so far.